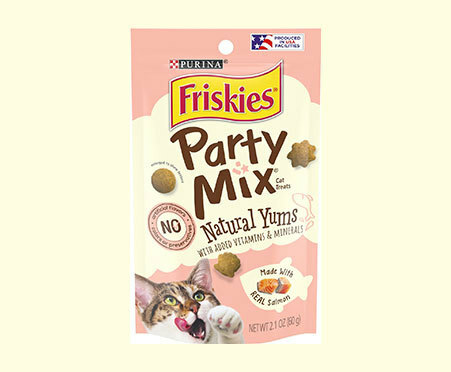 Make every moment feel like a celebration when you offer up Purina Friskies Party Mix Natural Yums Salmon With Added Vitamins & Minerals adult cat treats. 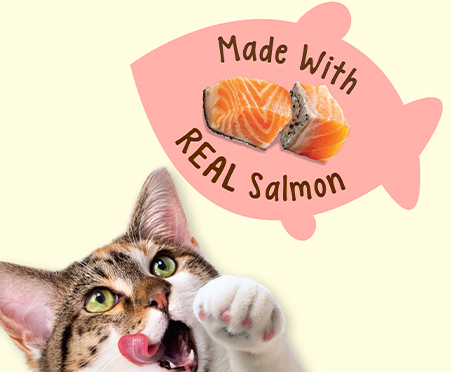 These wholesome treats give your feline friend that mouthwatering seafood flavor she craves. 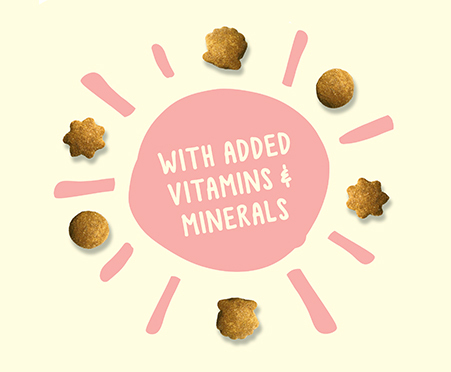 Watch your cat companion come racing to your side when she catches a whiff of Purina Friskies Party Mix Natural Yums With Real Salmon With Added Vitamins & Minerals adult cat treats. Offering the meaty goodness she loves, these yummy snacks contain 2 calories per treat, so you can serve them without worrying about her waistline. 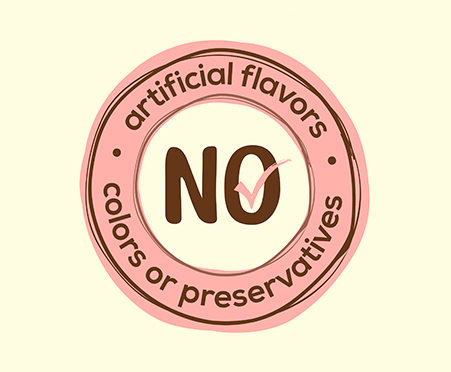 The paw-licking flavor of real salmon makes special moments with your cat even more memorable, and the crunchy texture keeps your cat interested treat after treat. Feed your adult cat according to the instructions on the pouch, reducing the proportion of regular food you serve in relation to the number of treats you give her.